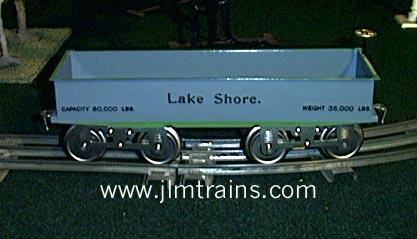 The 10 Series freight cars were first produced in 1906. 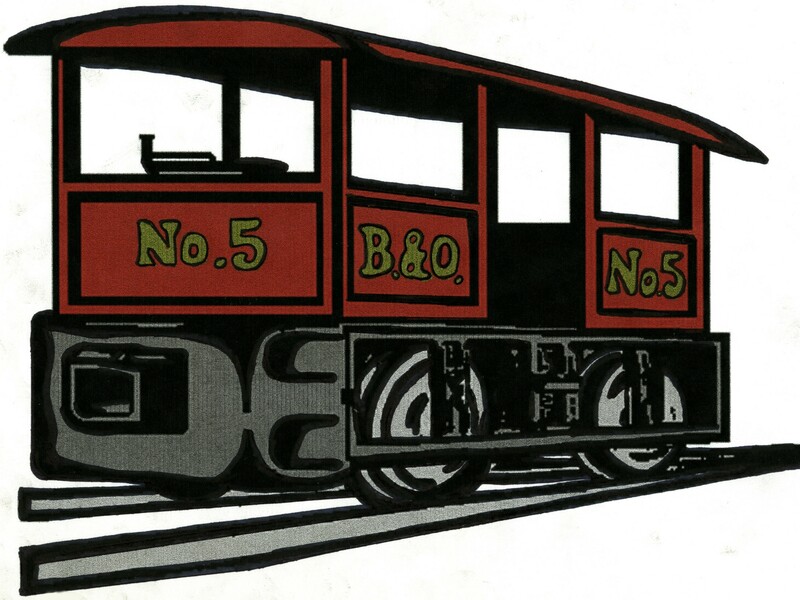 Our line of reproductions are accurate copies of the versions of these cars available from 1906 until around 1909. All have Open Side Three Rivet Trucks. 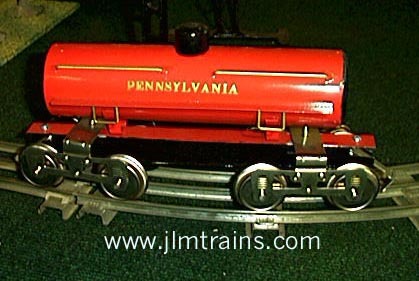 The Flat Car has handrails and brake wheels, the Gondola does not have a beaded rim, but a rather a folded rim with brake wheels. 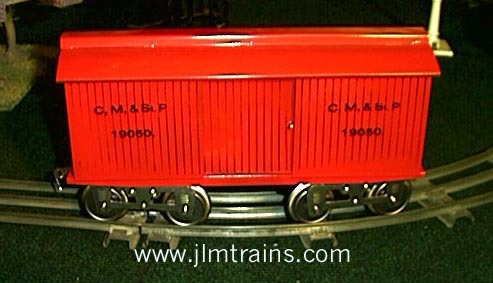 The Box Car and Caboose have printed slats rather than embossed sides. 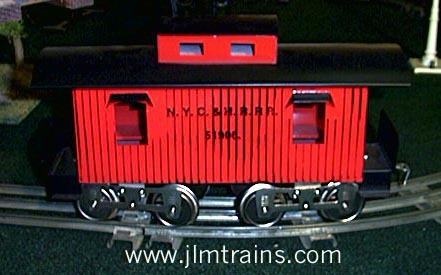 The Caboose also has interior benches and awnings. 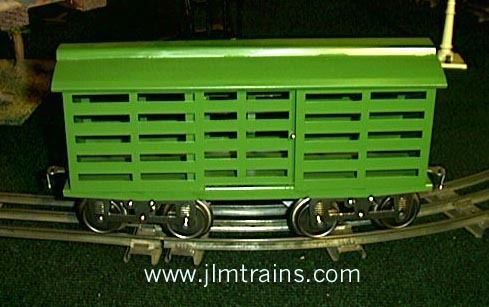 The Cattle car has no embossings and has the same Two Piece Roof as the Box Car. The Oil Car has wooden ends and a wooden dome, ‘U’ shaped steps and no rivet embossings. Tooling is underway for the Ballast Car. It will be available soon.